Metro, the city-centric newspaper, today devoted its entire issue to supporting Paddy Power and Stonewall's campaign against homophobia in football, and ran a host of gay-friendly ads. The edition was themed to support the bookmaker and the equalities charity's 'Rainbow Laces' campaign, which was launched in 2013 and aims to get football players to wear multi-coloured laces in solidarity with the anti-homophobia movement. Crispin Porter & Bogusky and Lucky Generals were the creative agencies behind the original campaign. M2M worked with Paddy Power and Metro to orchestrate the themed issue, which includes specially made ads that feature gay-friendly messages, as well as regular ads that just sport the rainbow laces logo. Metro also changed its masthead to reference the campaign. 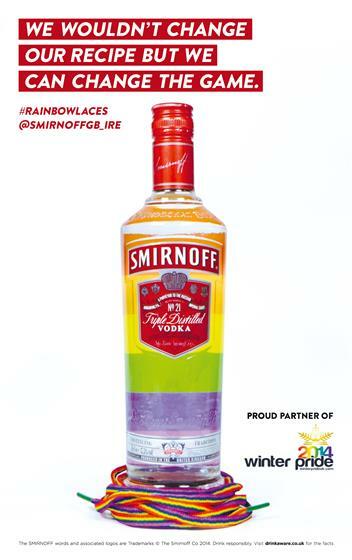 Smirnoff, Direct Booking and Premier Inn were among the brands that created bespoke ads – Premier Inn changed its name to Premier Out, for instance – while Vodafone and Starbucks were among those that advertised in the paper and carried a "rainbow laces" logo. Some brands advertised in the paper, but did not participate, including McDonald's and KLM. Sources involved in the campaign said that the quick turnaround – the themed issue was arranged in a matter of weeks – made it difficult for some corporations to approve the altered ads. Alistair MacCallum, M2M’s managing director, said: "Taking this idea from concept to execution has involved an incredible amount of commitment from all of the partners, not least Metro’s editorial team. 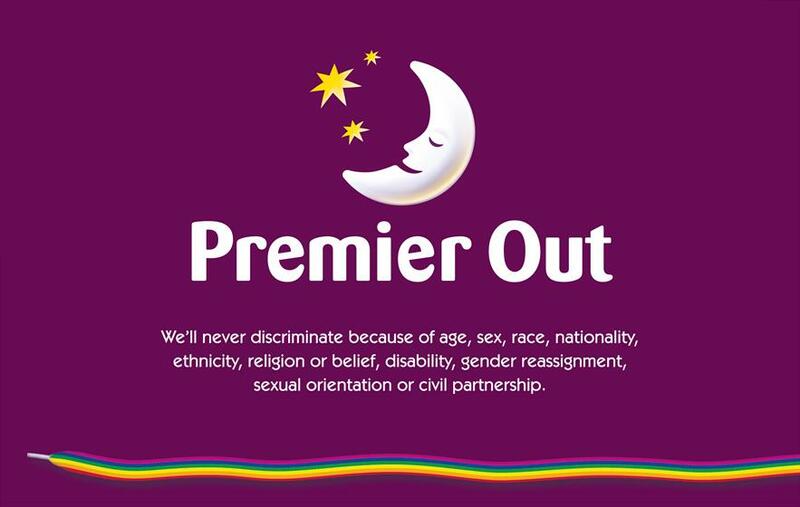 It’s going to create huge awareness and interest in the campaign and great credit must go to all of Metro’s advertisers that have come together to take a stand against homophobia in football." Ruth Hunt, the chief executive of Stonewall, said: "Last year’s Rainbow Laces was a great start, but there’s still a long way to go to tackle homophobia both on and off the pitch."